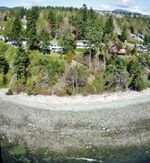 Prime West Sechelt 100 foot wide Oceanfront property, largely flat usable .6 acre with mature beautiful landscaping of shrubs and large trees including cedars, and stairs to prized pebble beach. Well maintained 3 bedroom, 2 bath home with full length sundeck and large windows or sliders in most rooms, 8 year old metal roof, hardwood floors in living room. 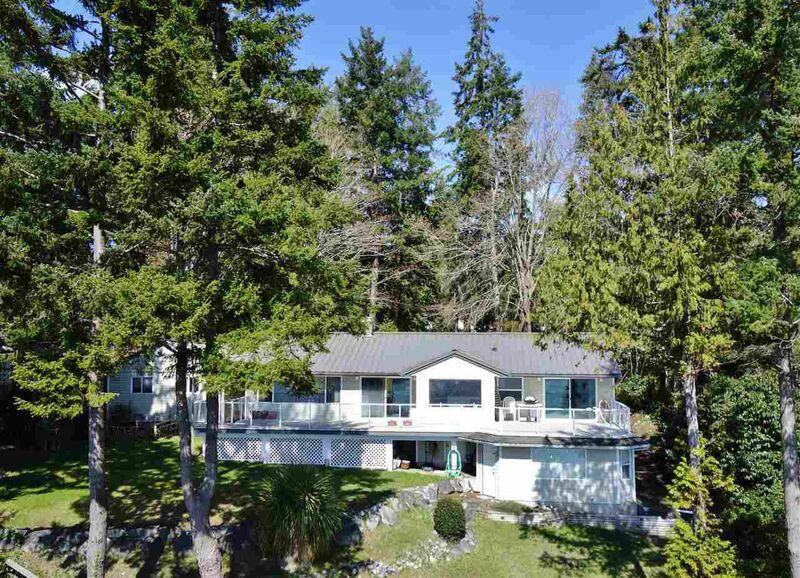 Inside of home renovated in 1995, re-insulated, new drywall, new siding, gas forced air heat, plus heatilator fireplace, paved drive to double garage with 220 amp service. Ample parking for all your outdoor vehicles; RV, boat camper, etc. Check multimedia for drone pictures.